We want to initiate a dialogue, not only to understand depression or anxiety rationally but also expressing it therapeutically through Arts. Art is a way of experiencing the emotions/ feelings that we have been numbing down to keep ourselves normal. Art’s purging ability allows us to get through the pain and initiates healing. 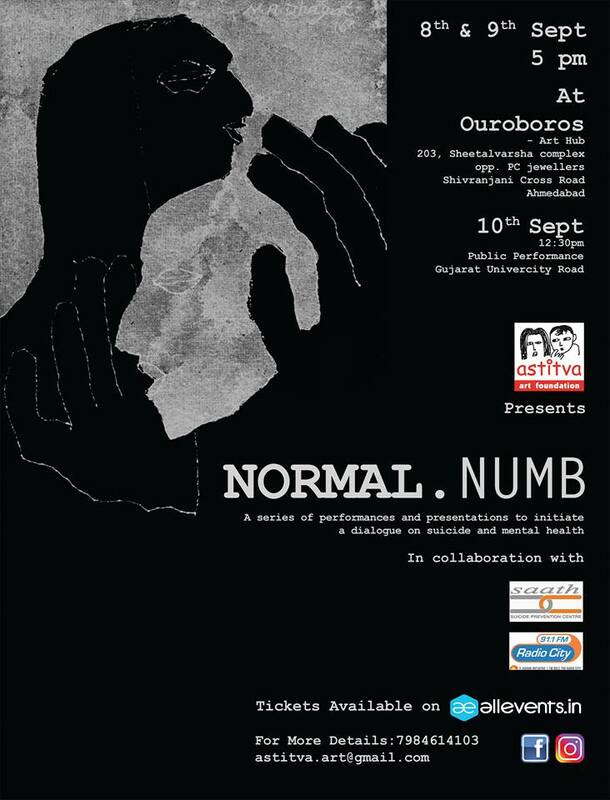 Venue: Ouroboros – Art Hub, Shivaranjani Cross Road, Ahmedabad. A public performance indicating suicide as the mental health issue that we can overcome together.